Leaves - raw. Added to salads. 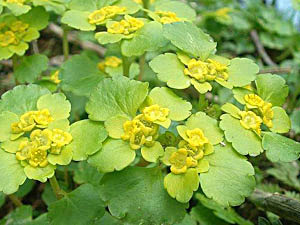 The leaves are rather small, and there is a distinct bitterness in the flavour, especially during hot weather. Acid soils by the sides of streams, wet rocks and wet ground in woods, usually in shade. The plants creeping habit makes it a good ground cover for the bog garden. Seed - sow spring or autumn in a lightly shaded position in a cold frame. Stand the pot in 2cm of water. When they are large enough to handle, prick the seedlings out into individual pots and grow them on in a tray of water in the cold frame for at least their first winter. 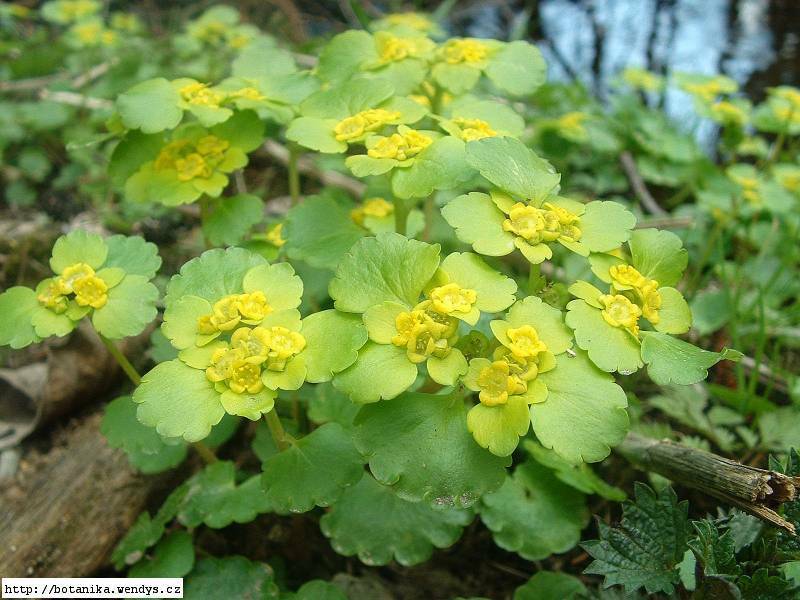 Plant them out into their permanent positions in late spring or early summer, after the last expected frosts. Division in spring. Very easy, larger clumps can be replanted direct into their permanent positions, though it is best to pot up smaller clumps and grow them on in light shade in a cold frame until they are rooting well. Plant them out in the summer or following spring.